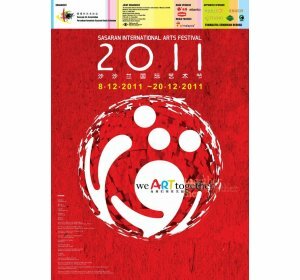 2011 Sasaran International Art Festival is the continuity of the Sasaran International Workshop which was held in the year 2008. 50 artists from 17 oversea countries will take part in this art festival, including Hungary, Vietnam, Thailand, Philippine, China, Singapore, Italy, Indonesia, Japan, Korea, Taiwan, Malaysia etc. This art festival will organize program such as painting, sculpture, street performance, music performance, short film, seminar and others art activities. - To promote the art and cultural exchange between Malaysia and other countries. - To up bringing the new generation of artist. - To bridge the relationship between art and the environment. - To promote art education and creative thinking. - To promote social and charity activities. - To develop Sasaran village to become an art village. activities related to art education and any program able to achieve the objective of SAA. begin from Sasaran, Kuala Lumpur, Penang, Melaka and bring to the exhibition at oversea. © 2011 Sasaran Art Association. All rights reserved.